Hundsund Bad is a bright, open and pleasant swimming pool located close to a beautiful hiking area on Snarøya. We offer swimming exercises for all ages, baby swimming, swimming courses for children, crawl lessons for adults, water aerobics and water therapy. If you are interested in private lessons, we can provide skilled instructors. 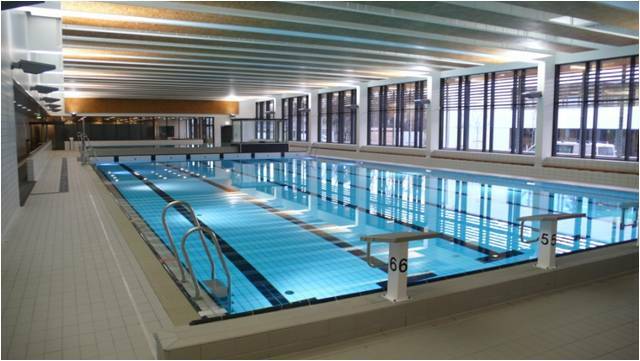 We have a 25-meter pool with 6 lanes, holding 28 degrees and a 12.5 meter teaching pool that holds 32 degrees. There is free parking for paying guests in the basement and one parking space for disabled outside the hall. If you have any questions don’t hesitate to contact our staff, we aim to please! *Annual pass is valid from January 1st – December 31st, and applies every day the swimming pool is open within a calendar year. No refunds will be given if the pool is closed because of competitions, holidays or summer opening hours. Children’s ticket is valid until the age of 18.